Enoch 'Nucky' Johnson was the undisputed political and criminal boss of Atlantic City for 30 years in the early part of the 20th century. Enoch L. “Nucky” Johnson, who ran the town for 30 years, did so mostly through fear and charm. He captivated local residents with his style, gained their loyalty through his generosity and controlled them with his shrewdness. He gained his unique position through another man’s fall, when “The Commodore” Louis Kuehnle was convicted in 1911 on charges of voter fraud, giving Johnson the opportunity to “pick up his toga,” according to a 1939 news story. The state indicted Johnson, who was county sheriff at the time, on election fraud charges with Kuehnle and others, but he escaped conviction. Johnson capitalized on his resulting freedom. He exploited the Prohibition era and the city’s ability to illegally give visitors what others could not. For Johnson, the times made the man, and the man made everything of the times. Now, Johnson is dominating the present in a new HBO mini-series based on his reign of power through the character of “Nucky Thompson.” The series, derived from Nelson Johnson’s book, “Boardwalk Empire: The Birth, High Times, and Corruption of Atlantic City,” premieres in September. The surrounding spectacle shines new light on a man who dominated Atlantic City and left a legacy larger than any other but recognized by few. Kuehnle began the succession of bossism in Atlantic City by developing a crime syndicate that dealt in gambling, prostitution and liquor. He controlled things from the late 1800s until his conviction. State Sen. Frank “Hap” Farley followed Johnson, maintaining his command from 1942 to 1972, wielding his power as a mighty state senator. 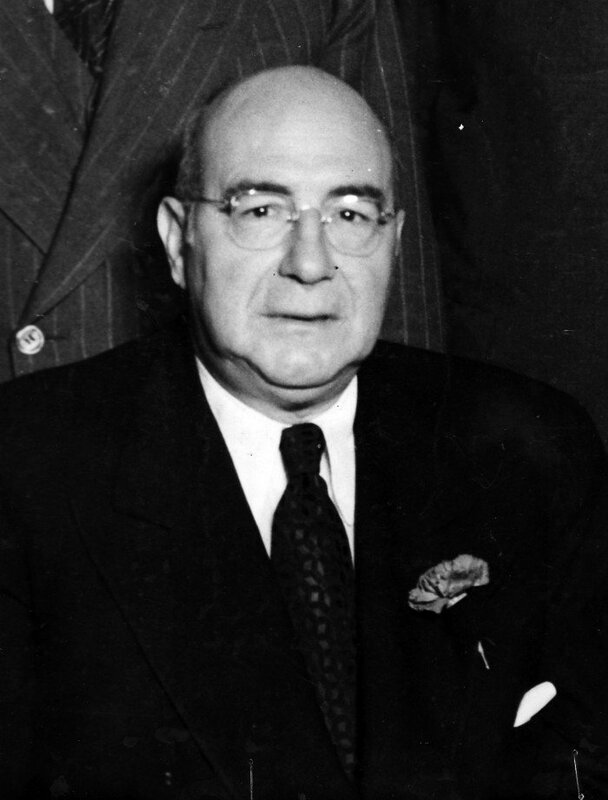 But Nucky Johnson was unique: He combined the public world of politics with the underworld of crime to maintain his power. “Hap had complete political power, Nucky had absolute power,” said Allen “Boo” Pergament, an Atlantic City historian. Nelson Johnson, an author and historian, describes the boss’ reign as a combination of organized crime leadership and political supremacy, a coupling unmatched by any of his predecessors — or successors. His Mafia-esque exploits included dealings with such organized crime heavyweights as Charles “Lucky” Luciano and “Scarface” Al Capone. His political power, under the appropriate title of Atlantic County treasurer, extended to Trenton and enabled him to maintain close relationships with New Jersey governors and intimidate people in the state’s criminal justice system. His power over government could be attributed to what amounted to a gift from government: Prohibition. Also known as the “Noble Experiment,” Prohibition laws went into effect in 1920 and remained until 1933. The period was the pinnacle for Johnson and Atlantic City, which became known as one location that could never go dry. “Prohibition provided a significant financial opportunity and he took advantage of it,” Vicki Gold Levi, an Atlantic City historian, said of Johnson. There was no secret to Johnson’s mode of success, and his lavish lifestyle promoted his illegal money stream. A tall man with a foghorn for a voice, Johnson developed a trademark by consistently pinning a fresh red carnation to the lapel of one of his many tailored suits. In his later days he was still spotted in debonair dress, strolling Atlantic City’s Boardwalk with a dark blue homberg hat and a long dark coat. He also commonly carried one of his half-dozen walking sticks with silver or gold initialed tops. The boss, also revered as one of Broadway’s last playboys, rented the entire ninth floor of the city’s Ritz-Carlton Hotel, since converted into condominiums. When Johnson served as clerk for one Assembly committee in Trenton, the job included a free railroad pass, but Johnson chose to ride in his 12-cylinder, chauffeur-driven car instead. Johnson’s bountiful ways were not all funded through the movement of illegal alcohol. He also generated money and power from the political realm. His control over the bureaucracies in the city and county allowed him to take his share of public contracts and demand favors from politicians and businessmen. And he did so diplomatically. “Fighting only gets you fighting,” Johnson once told a reporter. Johnson achieved a higher level of command as a result of a rare feud within his party between Atlantic City Mayor Edward I. Bader and former Mayor Harry Bacharach, both vying to run City Hall in the 1924 campaign. Johnson eventually agreed to back Bader, but knew the tight campaign would need some additional help. He met with Charles Lafferty, leader of the city’s miniscule Democratic Party. Discussion led to Bader going so far as to allow a Democrat — Harry Headley — to join his ticket in an obvious move to court the minority party. The mayor and his fellow Republicans Anthony Ruffu, William S. Cuthbert and Kuehnle triumphed and Headley became the first Democrat to make the city commission in its 12-year history. But Johnson’s power not only allowed him to reward friends with jobs, he also wielded the authority to take jobs away. Asked when he first learned that Johnson was the city’s undisputed boss, a smile crept across the face of Eddie Devlin, a young loyalist of Lafferty’s so-called Democrats in Atlantic City. His uncle, Atlantic City police officer Steve Devlin, met Johnson while on duty. Johnson’s driver, Louie Kessel, made an illegal U-turn as he chauffeured the boss around the city streets one day. Steve Devlin spotted the moving violation, pulled over Johnson’s car and issued a routine traffic ticket. But there was nothing routine about this ticket. Just a few days later, Steve Devlin was out of the job. Still believing in the same code that stood strong in Atlantic City decades ago, Devlin doesn’t defend his late uncle, he scolds him. With word spreading of Johnson’s power, the FBI soon moved into an inconspicuous frame house in the outskirts of Atlantic City, camouflaged it with a rooms-for-rent sign and went to work. The agents slowly gained ground on Johnson as they busted rackets. They caught a break when they were able to reproduce a written agreement that illegally paid Nucky three-fifths of the profits of a city railroad contract he had secured. Johnson had thought the only copies had been flushed down the toilet. Johnson’s three-decades-long regime toppled as a result of a conviction on federal tax-evasion charges in 1941. A trial jury convicted him of evading $125,000 in taxes. He was sentenced to 10 years in federal prison by Judge Albert B. Maris. “The jury has found, and I think quite properly, that he had set them an example of cheating and defrauding the Government, which is, to say the least, shocking,” the judge said, according to a copy of his prepared statement. Johnson was paroled Aug. 15, 1945, re-entering Atlantic City as a shell of his former self and with little ambition to try to regain his political might. The convictions of Kuehnle and Johnson brought down the bosses, but not the bossism. Kuehnle’s downfall made way for Johnson’s regime. When Johnson went to prison, it was Farley who took over. Each verdict had led to a more protected dynasty, a need that grew with the attention given to Atlantic City and a slowly developing intolerance to bossism. A left turn off Ohio Avenue in the resort’s Venice Park section leads to Kuehnle Avenue, a small side street dedicated to “The Commodore” Louis Kuehnle, the city’s undisputed political boss from the late 1800s until his conviction on corruption charges in 1912. Along the Atlantic City Expressway, motorists can pull into the Frank S. Farley Service Area, named after the state senator, better known as “Hap,” who operated the Republican machine that commanded this island resort from the early 1940s until his failed re-election bid in 1972. But there is no designated dedication for the man who controlled Atlantic City for the 30-year span between Kuehnle and Farley. Instead, his legacy is an unofficial one, a memorial that could not be condensed into a sign or a statue. Johnson’s legacy is the city he left behind. He embodied much of what it represents today — both the good and the bad. “There was a man that, without him, Atlantic City may not be what it is today,” said Raymond Osbeck, Nucky’s nephew. Nelson Johnson points to Boardwalk Hall as a physical symbol of Nucky’s legacy, built in 1929 to accommodate the many conventions pining to hold their events in Atlantic City because of Johnson’s refusal to abide by Prohibition laws. 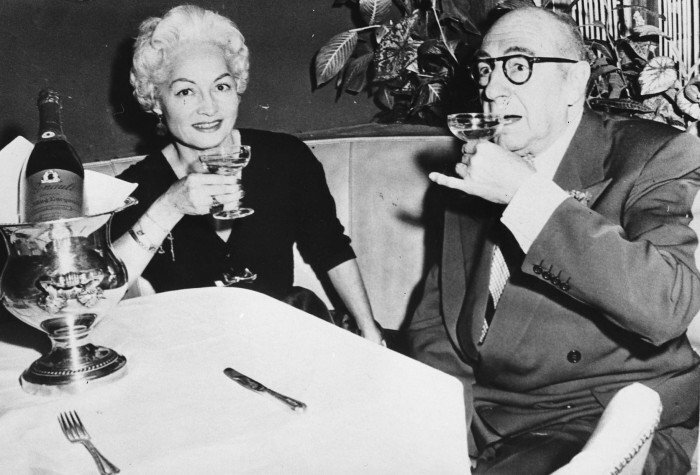 On a larger scale, Nucky Johnson also kept Atlantic City relevant for 30 years as an island of sin where visitors could get whatever they desired. And he did it during a period that included Prohibition and the Great Depression, two mighty eras in American history that contributed to toppling everyone from middle-class workers to upper-class investors. But Johnson, and Atlantic City, remained, and still do. But what also remains today is Johnson’s less-pleasing legacy, one that has been a fixture in Atlantic City politics since his unparalleled control over the resort. Peter J. Woolley, a professor of political science at Fairleigh Dickinson University, said the public slowly turned on bosses such as Johnson over the years. Woolley said growing public concern with government abuse resulted in stronger regulation over two keys to achieving boss status: money and jobs. Monetary oversight, either by the Internal Revenue Service or politically through campaign finance reform, has forced more accountability, Woolley said. Complex rules established by civil service make the delivery of government jobs a more difficult, but certainly not impossible, favor to deliver. Many of Atlantic City’s politicians with aspirations to dominate this small island have fallen as a result of those tougher regulations. Like Johnson, his position and ego put him in contact with the members of the Mafia — both real and fake. After a brief stint in office, from 1982 to 1984, Matthews took a $10,000 payment from an undercover FBI agent posing as a mob figure. He then agreed to place the Atlantic City-owned H-Tract land parcel up for sale. Federal authorities said the crime he committed could have cost the city more than $40 million. He served more than five years in prison. Former City Council President Craig Callaway had the drive to control every aspect of city government, but he, too, enjoyed a short-lived stretch of power because of his relationship with the FBI. Callaway went from informant to target over the course of about three years. Woolley said the more recent convictions of politicians striving to build their power, and their bank accounts, are clear indications that bossism in its traditional form is dead. But as long as money and power continue to whet the appetite of ambitious and shrewd leaders in Atlantic City, the quest to achieve the unofficial status of boss will live on.